It’s the first podcast of 2019 – and we are starting as we mean to go on. Looking back on my notes for this episode, which I always jot down in the weeks in the run up to recording – I had “looking back” written down, and I had “100 episodes/thanks” written down and “5th Podiversary” written down (Which incidentally we mark this month). However, I there’s something that is far more important to start this episode with. You cannot have ignored the conversations which have been happening on social media over the past few weeks on racism and inclusivity in the crafty world. 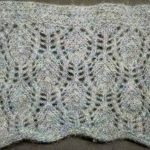 If you don’t do social media, or if you really have no clue as to what I am talking about then perhaps the best place to check first is the Needlework News & Events group on Ravelry. In there there’s a thread called Racism and Inclusion in the Yarn Community (I say this wrong in the audio, sorry), there is background to how this conversation started and links to important posts on instagram (links below). I will put links to that group and some of these posts in the show notes. I would ask you, if you haven’t already, to visit that thread to read the discussion and visit instagram and read, absorb and follow the stories of thecolormustard, Su.krita, Ocean_bythesea, astitchtowear, also GGmadeit, CreativeCeci, HeyBrownBerry, Nadiratani…there are so many more voices, but I know you aren’t all listening with a pen and paper, so these great accounts and their highlighted stories are an important place to start. 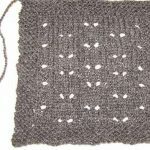 I will put links in the shownotes too, but there are lots of links and posts in that thread i mentioned in ravelry. Why am I asking you to actively read, absorb and follow? Because we need to hear the brutal, honest, uncomfortable realities that are being faced by black indigenous people of colour in our community. We talk all the time about how this community is so supportive and safe, we.. actually let’s rephrase that – I say that all the time. But I am wrong , we are wrong. The knitting community is not so supportive. It is failing to support knitters of colour and we can do better. We can all do better. I am struggling to find eloquent…no, cos that’s not the right word – I am struggling to find words sufficient to apologise for my white privilege and the harm I have caused to any person of colour and in particular to listeners of this show and members of our knitting community. 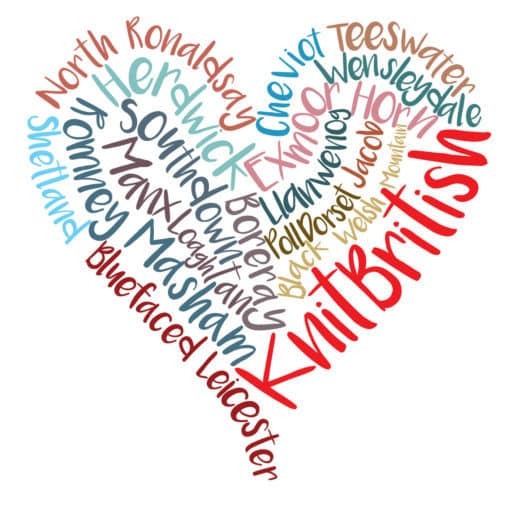 Our knitting community, it has dismissed, disregarded, neglected and discriminated against knitters and crafters who are BIPOC and while there are lots of issues in the knitting community this is the conversation that matters now. This is what we need to rip out and to re-knit, this is what we all can do to undo the white-washing in the knitting community. I think starting with listening and reading the conversations. Starting with owning up to being part of the problem is what we (white people) have to do. I am sorry. I have been part of the problem, but I will do what I can to be part of the solution. We can all just start by having a look at who we follow on social media and when I say We, I’m using We a lot! What I mean by “we” is white people. – I was mortified at how white my social media is, how non-diverse. And if you are sitting at home saying “I don’t agree. I am not part of the problem. I’m not racist. Or I’m not bias” perhaps do that one little exercise and look at your following on social media as well. And if you still think that there isn’t a problem or that as a white person you are not to blame, perhaps sit for a moment and try to think why you think that. Dear listeners of the KnitBritish podcast, like I said, I’m actively listening and I am looking inside myself too. If you have ever felt that this is not a safe space, I am so sorry. If you have ever felt that I am not speaking or including you. I am so sorry. I want to do better to support all listeners and yarnies of colour and make this a trusted space and so instead of looking back as I planned for the beginning of this episode, my mind is turned to what I can do with this podcast to move forward and be more supportive, be more inclusive. There isn’t even a sufficient way to put a full stop here at the end of this section to sum up the conversaion. Let’s just do better. We can all do better to try to dismantle this harm-causing structure in our knitting community an make it a more diverse, inclusive safe space. Creativececi – IG highlight story Are You Bias? What I fail to perhaps make clear is that I hope this space is a welcoming space for knitters of all ethnicity, colours, genders, orientations, body shapes ET AL. I’ve been posting further on IG. sometimes we do intro posts, but this is a farewell post. Steady unfollowing this week and I can only assume that it’s down to me posting about my opinions about those who are so comfy & cosy with being racist that they shoot a podcast about it! . Everyone is welcome here – whatever the colour of your skin, regardless of who you love, or who you are or what you look like, or where you come from. My content is sometimes about knitting, sometimes about cats, often about wool, sometimes it’s (lazy eye!) selfies like this one … but it’s not just that! . 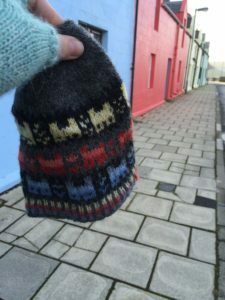 If you unfollow because you can’t cope with it not being about knitting, or you just don’t want opinions in your social media… or if you dislike that I want to see the damage & harm in our knitting community undone, so that it’s a truly trusted, safe, inclusive space then – as we say in Shetland – Geeng you! (go then!) . and farewell to you. . . . ETA for the avoidance of doubt, I’m very happy that those who disagree with the above choose to unfollow me. I can only hope they look within themselves to figure out why they disagree. 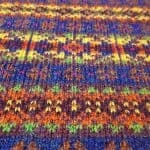 Don’t forget we have a 100% Wool Make=along going on until March 17. This MAL celebrates vendors at Edinburgh Yarn Festival and you can take part whether you are coming to EYF or not. 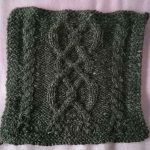 See this post and the thread in the ravelry group. 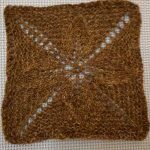 EYF News – Tickets for EYF Ceilidh and the Knit Night are now sold out. The advance online general admission tickets for the main event (Thu 21-Sat 23) are sold out, but you can get tickets on the door from 1pm on Thu 21 and from 11am on Fri 22 and Sat 23. You may have to wait in line for a bit, but you will get in. Over half of the total EYF fest goers last year did not have an advance ticket for the marketplace, AND THEY STILL GOT IN. Pardon for the Caps, but some people are being less than gracious about this and think that general admission is sold out. That is not true. Entitled people aside, I am SO looking forward to EYF! Are you going to be there? 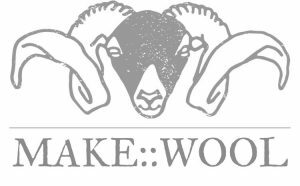 I am so looking forward to the Sunday event Make:Wool (tickets are sold out and there won’t be tickets on the door) – there are going to be lots of amazing woolly vendors and I will depart with a lot of dough. 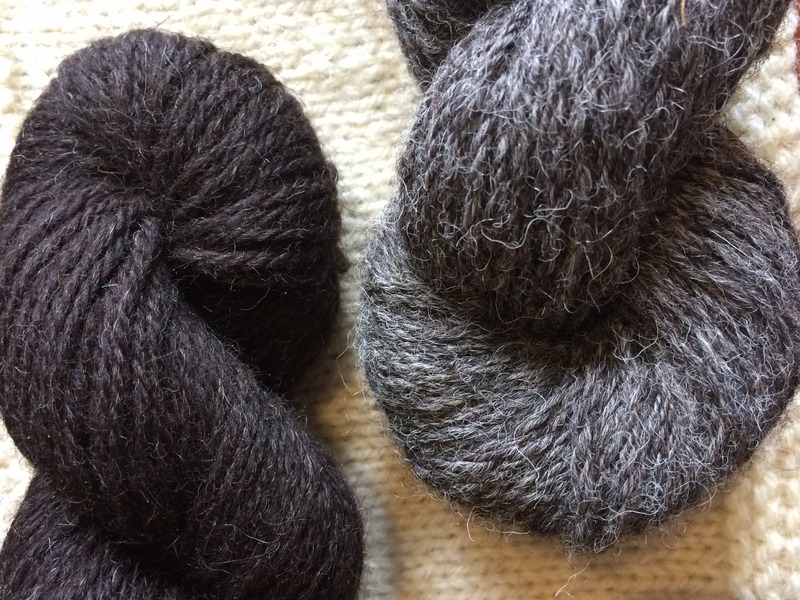 A look at Shetland sheep and Shetland wool. 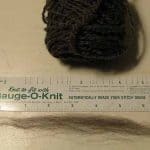 I mention the 11 Shetland natural shades and the old Norwegian , or perhaps Norn, Shetland words used for the facial and fleece markings too, which you can find a list here at the Shetland Sheep Society website. I also read the flock book standard from there. How wrong is that? That any wool spun to this standard can be called Shetland wool? 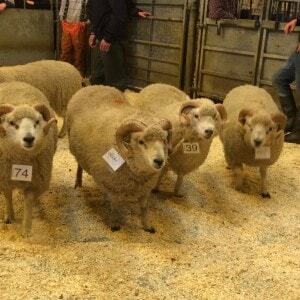 (leaving aside that term 100% virgin wool – that’s another term for another day) I’ve tried to contact Trading Standards about how I can challenge this. They told me to contact Citizens Advice about it and they in turn told me that they couldn’t assist with that query. I feel that this really needs to be challenged. 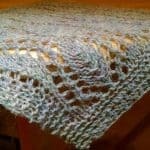 The other J&S blog I refer to in the audio is the one on Woollen V Worsted spinning for Shetland wool. 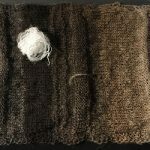 Shetland wool and knitwear and terms related to them have been appropriated and cashed in on for years – a recent example is Brooklyn Tweed recently used “peerie” – a Shetland term for small for their 100% American Merino, Worsted spun yarn. There is a whole ‘nother episode on appropriation of Shetland’s wool, knitting and language here, so I will nurse my anger for another day! Good Intentions has returned for 2019 – Our cast on dates are – 1st February, 1st May, 1st August, 1st November. There is a post in the Rav group all about it. 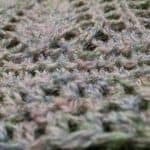 I am so looking forward to seeing you make those Good Intentions – The yarns and patterns that we bought to go together, but never quite got round to it yet – a reality in 2019! The First Quarter started as I was editing this episode and there is a thread for Q1 here. Well, Fr’goodness sake! Thank YOU! 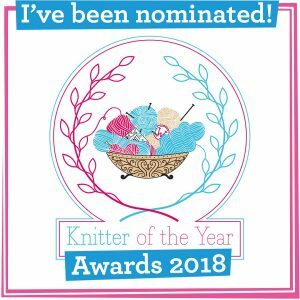 I am one of the Online Innovators in the KnitNow Knitter of the Year. I was really honoured to nominated and just so cheery to have won, so thank you again if you voted. I will be going with the winners to West Yorkshire Spinners and am super excited about it. You can get issue 98 of Knit Now in shops now! 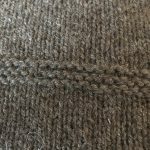 Listen in for our Shetland wool exploration. Our key term “Breed wool is not homogeneous” is definitely applied here as Shetland is one of those yarns which you hear such mixed reviews on. Silky and drapey, dense and woolly, crisp yet smooth….its a riddle wrapped up in an enigma at times. Our explorers with Shetland wool were KateBread, BeckiP, erickaeckles, JCGShaston, Drygardening, WoollyMammothEmma, Dreynold1, CynSpins , MissGoggins, FairCityKnits and me. 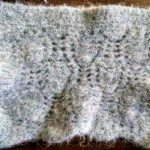 The yarns we explored were – Jamieson and Smith jumper weight, Jamieson and Smith Supreme; Jamiesons of Shetland DK; Uradale; World of Wool/Woolly Mammoth Fibres, Blacker, Foula Wool and we had three handpsun yarns too. 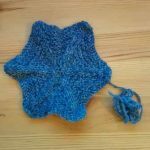 I mentioned a post in the Ravelry group from a previous exploration on why World of Wool (and other milled breed yarns) can vary when it comes to knitting weights. 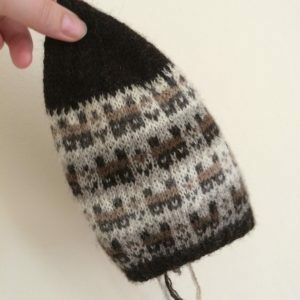 Emma thought her Shetland from WOW was very thin and Dry Gardening found this with the Dorset Horn last year. She wrote to World of Wool and got a reply about it, which you can read here. 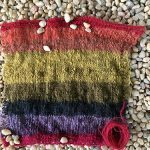 Cheviot Wool Exploration Deadline is 28th February and you can get started and see the chat for that in the Ravelry group! The Google form can be found here. Later in February I will be talking about the ways in which we can advocate for wool and will be looking at the talk I did for the NANSWool. 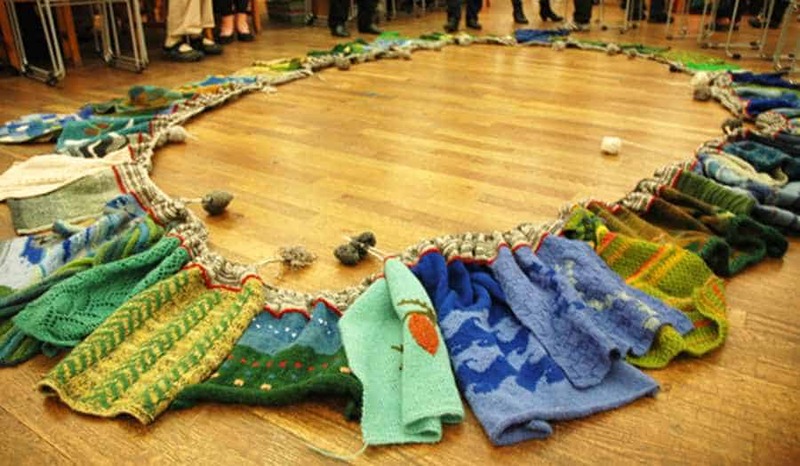 If you have ideas and suggestions of how we can all better advocate wool and wool businesses and yarnie people please do comment and suggest. 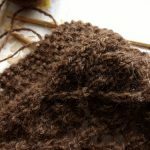 Regarding socks, I knit a simple vanilla pair using Jamieson’s of Shetland spindrift a couple of years ago, they are so wonderful and warm to wear, it’s like having a mug of hot chocolate, all tummy warm but for your toes.. I used a 2.5 mm dpns, 60 stitches and the fabric is quite sturdy feeling, however, I have had to darn them umpteen times, they’ve worn out under the heel and across the ball of my feet but a half hour here and there spent darning them is a small price to pay for the instant warm comfort they’ve given me. 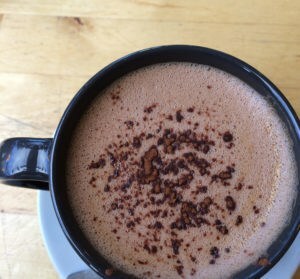 Thanks for the list of instagram stories — in particular creativececi’s – I hadn’t noticed that one on my own and think it will be very useful.